As a principal in the firm's Corporate, Securities & Tax Group, Keith Sigale has provided valuable counseling to all sizes and types of businesses, as well as to business owners and investors. He is routinely retained for discrete business transactions as well as for the day-to-day counseling needs of his clients. Mr. Sigale's experience has been obtained over many years in a broad range of transactions, which include mergers and acquisitions, corporate dispositions, securities issuances and filings, private equity investments, bond transactions and corporate finance deals. He is skilled at drafting, analyzing and negotiating all types of commercial contracts and complex agreements. His clients span a vast array of industries, including manufacturing businesses, financial entities, service companies and many others. Successful transactions for which Mr. Sigale has served as corporate counsel include the sale and acquisition of significant companies in the manufacturing, retail and media industries, the representation of borrowers in the financial, manufacturing and services industries to obtain bank and other third party financing, the management buyout of a services company, the representation of issuers and borrowers for various municipal bond offerings, the representation of investors and companies for venture capital transactions throughout several industries, and the leveraged buyout of various manufacturing companies. Mr. Sigale also has significant experience dealing with troubled or insolvent companies, and has assisted numerous clients in connection with transactions involving such companies. Representations in this area include purchasers in various Section 363 bankruptcy sales, companies undertaking restructuring and refinancing, lenders in connection with UCC foreclosure sales and a company consummating an assignment for the benefit of creditors. Mr. Sigale has a broad background and is enmeshed in the legal community. 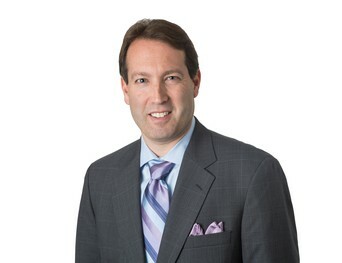 He is a member of the American Bar Association, the Chicago Bar Association and its Business Law division and the National Association of Bond Lawyers. He is a certified public accountant. He also provides legal advice and serves in other volunteer capacities for several non-profit organizations. Represented a large timber company in the sale of eleven operating companies to a private equity firm in a transaction valued in excess of $100M. Represented a digital media company in its sale to a worldwide media conglomerate. Represented a large financial services company in the negotiation and documentation of credit facilities with several commercial banks, for aggregate credit of approximately $200M. Represented a trading company in connection with a $150M inbound investment by a consortium of private equity firms. Represented an environmental services company in its sale to an equity fund for a purchase price of over $100M. Represented a major utility company in the corporate disposition of several non-core subsidiaries, with sale prices in the $5M to $25M range. Represented a retailer of bar supplies and liquor accessories in its $12M sale to a private equity fund. Represented a private equity company in connection with its significant investment and formation of a joint venture with respect to the operation of several skilled nursing facilities. Represented a private equity fund in the $18M acquisition of a transportation services company, with such acquisition completed through a sale under the Uniform Commercial Code. Represented a sign manufacturing company in a sale valued at over $10M to a private equity fund. Represented a coal mining company in transactions involving $10M in commercial and alternative financing arrangements, as well as in connection with various private placement of its securities. Represented a consortium of private equity funds in the acquisition of a construction tools company, through a sale completed under Section 363 of the Bankruptcy Code. Represented an automotive parts business in connection with its $10M sale to a strategic buyer. Represented the Illinois Finance Authority as issuer's counsel on multiple municipal bond offerings in the education, health care and other sectors. Represented a management team of a household goods company, in connection with employment and equity matters arising during the third-party takeover of their company. Represented a professional services company in their corporate restructuring and equity recapitalization. Represented the primary owner of a closely-held consulting business in connection with the reorganization and economic negotiations with the other business owners.